Serving these shish kebabs is so easy for a yom tov meal because you can marinate the chicken the day before and assemble them at the last minute. Kids love to help out making this dish! The spice rub is good for any and all chicken dishes and even for meat or veal. If you double or triple the spice recipe, you can put the spice rub aside in a jar for up to 6 months in a cool dry place. Mix spice rub ingredients together. Then mix together cubed chicken with the olive oil and the spices and marinate overnight. In the meantime, if you are using wooden skewers, it's best to soak them so they don't burn in the oven or on the grill. 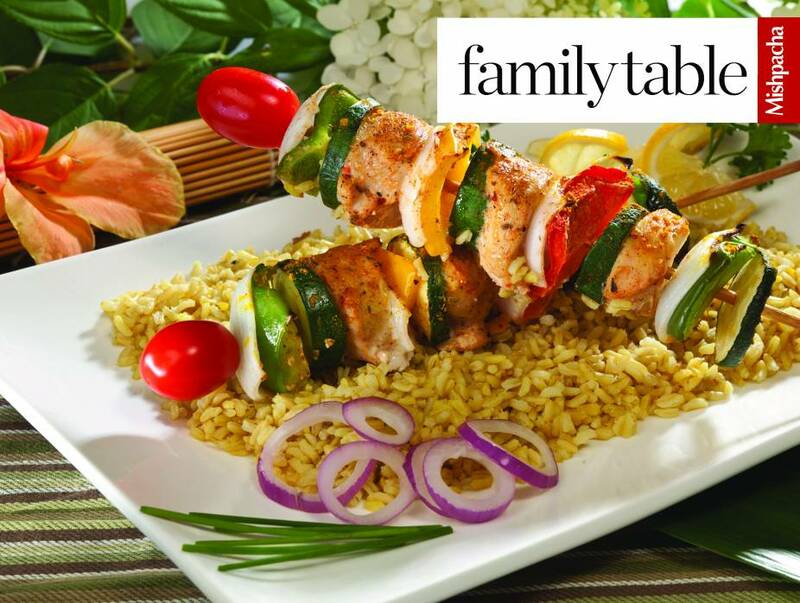 Assemble chicken skewers: take the chicken and cut up vegetables and create a pattern on the skewers. Alternate vegetables with pieces of chicken. Each skewer should have at least three cubes of chicken. Place on broiler pan or cookie sheet that has been sprayed with cooking spray. Kebabs can be grilled or baked. Bake them at 375- 400 degrees for 20-25 minutes until the chicken is cooked through and the vegetables are tender and look grilled. Serve over a bed of rice or salad.